Setting the cornerstones for new contest formats! Globetrotter World Slackline Masters, Team battle, Munich! Together with Globetrotter and the city of Munich we are going into new directions of contest formats to find even more exciting and challenging Trickline contests. 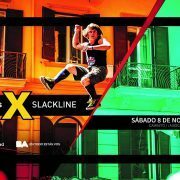 For the first time in history we will be hosting an international team battles with world class slackliners facing new challenges: A) to work as a team to win the contest and B) to present tandem tricklining on a high competive level. Tandem tricklining? Yes… this is two slackliners on one slackline performing tricks at the same time! Teams from all around the globe have and are still registering (We will announce when our brackets are full). The teams (2 athletes each) will be facing three contest challenges starting with a 3min freestyle performance in round 1. The best 8 teams are then seeded for the quarterfinals where in a team vs team challenge the athletes battle two single matches (2 min per round each). In case there is a draw a tandem showdown, with 30sec per team, decides which team moves through to the semifinals. Here 2 teams will battle with all athletes in one session with 3min per team taking turns to convince the judges with their performance. In this challenge leading through to the finals, the time for each team will start as soon as the other team athletes step or fall of the line! 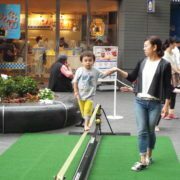 As a special highlight each team will have 2 tandem sessions they can use to collect extra points from the judges. Wether a choreography or freestyle the judges will judge not only their creativity, difficulty,diversity, style and amplitude, they will also look at how the two work together to show a unique team performance. “We want to give this idea space to develop but yet celebrate the diversity of the sport”. Due to this reason we invite everyone after the show to contact us directly or give feedback via our channels and decide which format from the three or combination you like the best. Find more information and on the contest and who is coming on Facebook. In case you haven´t seen tandem tricklining here is a recent example of Jaan and Tauri. We are proud to announce the first womens only slackline contest in the 6 year history of the Munich Sportsfestival. We are very excited to announce Giovanna Petrucci (Brazil), current WSFed ranked 1# Mio Suto and and 2# Yukimi Fukuda as well as further top ranked athletes from Germany, Switzerland, France, Poland and more. Female trickline legend Elli Schulte will be amongst the judges to decide who will be the first female champion in this event! The contest will be held out in a 1:1 knockout tournament. Let´s make this the starting point for a great series of womens contests! In case you want to take part there are still brackets available. Registration closes on the 30th June 2015! ->In case you haven´t seen girls trickline, here is a video of Giovanna. Join us and be part of this unique event! This is the 6th edition of an amazing Slackline Contest during the Sportsfestival in Munich, the “GLOBETROTTER WORLD SLACKLINES MASTERS BY GIBBON”!!! 6 Years of fun, 6 years of crazy and spectacular tricks, 6 years of mind-blowing battles between the best slackliners in the world, 6 years of emotions and friendships! Are you ready for 2015??? 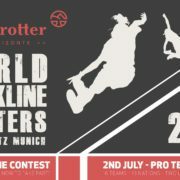 Also Globetrotter is ready again and presents the new contest format “WORLD SLACKLINE MASTERS – MUNICH 2015” by GIBBON! 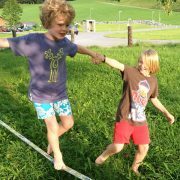 Like in the past years we will have the top slackliner of the world competing in Munich! Including Jaan Roose from Estonia, Alex Mason from US, as well as Mr. Slackline himselfe as judge “ANDY LEWIS” and many more. But a lot of things are new! For the first time in history we have a Slackline Team Battle for the boys! National and multinational teams are battling against the other teams. We want to use this platform to develop this idea and see what contest modes and team constellations create the best challenge for the slackliners and great entertainment for the crowd. 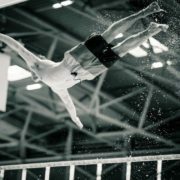 The base are a minimum of 8 Teams a 2 athletes competing against each other. – Application type: Invitations only in 2015. – Judging: 3 judges according to WSFED judging criteria. We will have amazing slackliners at the competition – we will have a different try out areas with slacklines for beginners, advanced and fitness junkies – we will have sun – we will have a lot of sports action at the whole festival area! So – what is missing? It´s just you!!! You want to battle with the stars?